The DOURR professional sports volleyball net is portable, so you can carry it easily, as it takes little space. Great for family game,beach game, graduation party beach, wedding party. Multiple uses, also for garden, schoolyard, backyard, beach, pool, party and other games. Rip-resistant black twisted knotted polyethylene net. 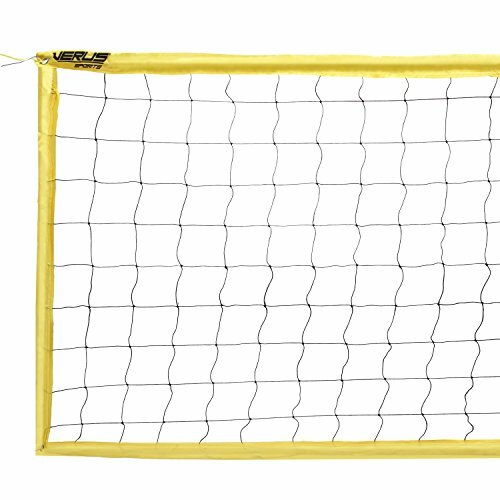 DOURR volleyball net with steel cable for added stability and support. White headband along four sides for visibility and shape retention during game. According to tournament style design, net dimensions: 32' x 3'. Adjustable height: 3 foot, for adults and kids. Q: Are they ready to be tied to the poles as is or are additional ties/ropes needed? A: The DOURR volleyball nets come with the enough ropes, you needn't prepare additional ropes. Q: Is this net adjustable? A: Yes, this volleyball net is three foot height, can be adjusted for men's, women's and kid's play. Thank you very much for your interests in our products. 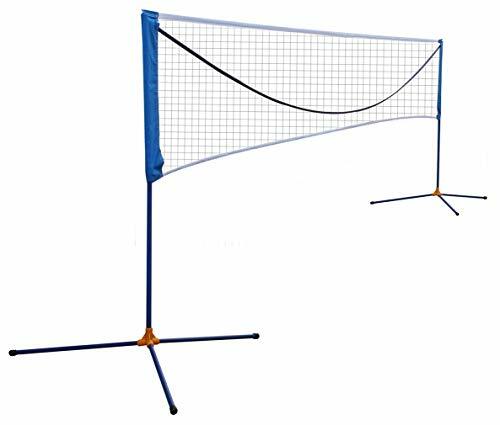 - Professional sports volleyball net. Net size is 32 L x 3 W feet. 4 inch square mesh net. - The four sides of volleyball net are covered with PE fabric, attractive and durable. 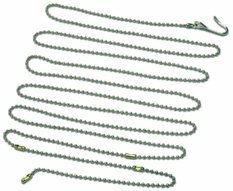 - There is a steel wire rope at the top of the volleyball net, easy to pull straight and fix. - Perfect for outdoor games with your family or friends, anytime and anywhere! Serve up the fun with Verus Sports replacement volleyball net! Tournament sized for full outdoor courts. This high performance Volleyball Net is designed to stand up to all weather conditions and heavy use. With steel top cable and 21-ply mesh, it's sure to last. Official size tie-on style replacement net can connect to most outdoor posts. 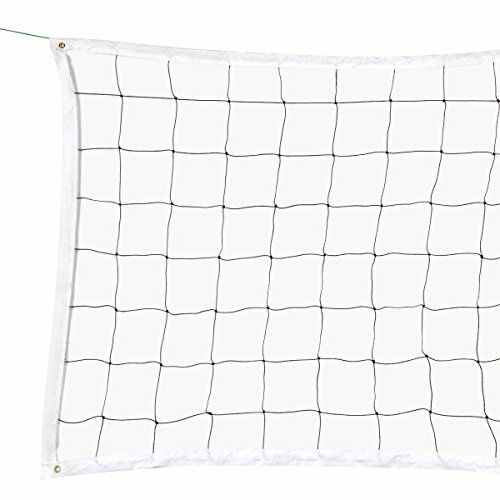 The CSI Cannon Sports volleyball net features 32-feet bottom and 40-feet top with 2 mm vinyl coated steel cable and is made for all levels of game play. Nylon reinforced vinyl headband, side band and bottom band with tie down bottom strings for superior shape retention and durability. 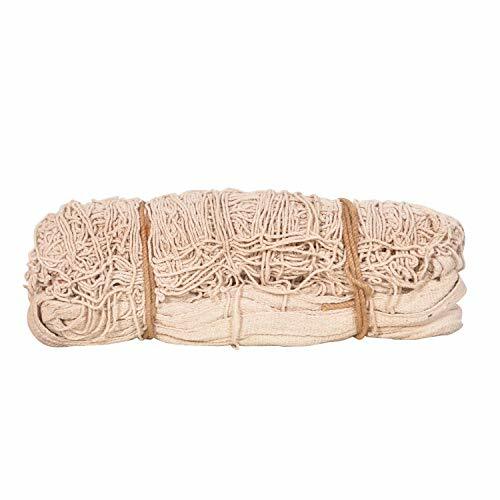 Top grade 2 mm polyethylene twisted thread with 4-inch standard knotted mesh netting. 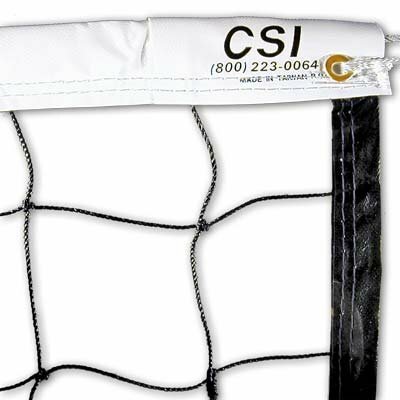 CSI uses easy to tie bottoms that make setting up and taking down the net very easy. 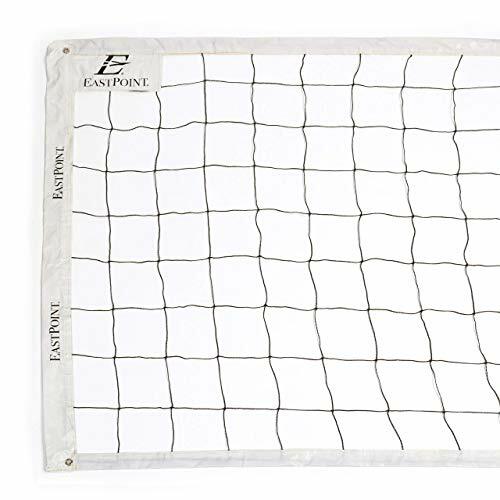 This regulation-sized volleyball net is made with 2.5-millimeter-thick polyethylene and features 2-inch, heavy-duty, 18-ounce vinyl liners along the top and bottom. Reinforcing the net are 40-foot-long, 1/8-inch-thick steel cables along the top and bottom. The cables are designed for volleyball systems with double ratchets. Wood dowels with a synthetic leather cover form the sides. The net measures 32 feet by 3 feet 3 inches. Material:Cotton blend Suitable for day-to-night wear,also is the best choise for Party,Cocktai,Holiday,Work,Prom,Wedding,Holiday,Beach,Daily etc. Ensure that your volleyball net is at precisely the right height with the Tandem Sport Net Setter Chain. 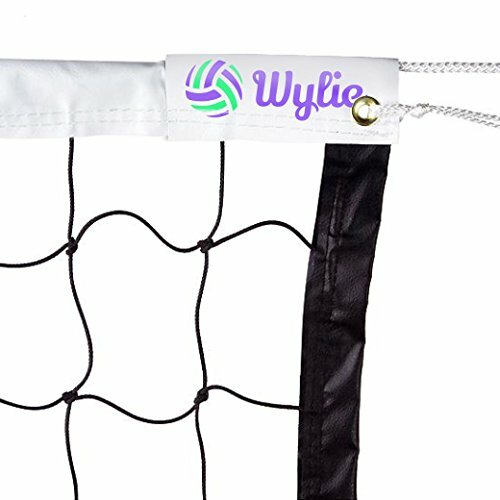 This sturdy chain measures the correct height of your volleyball net. The four pre-set heights are measured to the standards of men s, women s, coed, and junior volleyball. Tandem Sport has been manufacturing and distributing quality volleyball, sports medicine, equipment, and training devices to the sporting goods market since 1989. Tandem Sport focuses on supports and training equipment. Preset net heights for men, women, coed, and juniors. The measurements are 6'6, 7'0, 7'4 1/8, and 7'11 5/8. High Tensile Resistant: Made with high tensile resistant polyethylene to ensure the net stands up to weather and intense play, idea for outdoor and indoor use. Tournament Size: Size measures 32 x 3 feet, (Poles Not Included) stander tournament size for your outdoor games. Excellent Stability: Heavy-duty tarpaulin top, side, and bottom tapes ensures high durability, come with a top cable and four corner rings for a excellent stability! 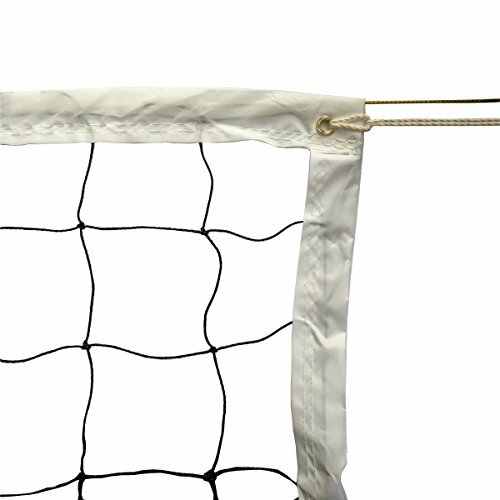 This official size volleyball net is made with quality stitching and construction in mind. Mesh is knit in 4 inch square increments with a 2" vinyl headband. Includes a rope cable for easy hanging between volleyball post or any other sturdy, upright objects. Perfect replacement volleyball net for old or worn out nets. Can be mounted between trees when used outdoors. Overall size id 32 feet in width and 3 feet high. Designed to stand up to frequent or continuos play in commercial and institutional setting including camps and schools. Perfect for school physical education programs. Mesh is a strings and rip-proof polyethylene material. Manufactured and sold by Coast Athletic, a leading supplier of sports, recreation and physical education equipment. All items including this one may be eligible for a discounted cost when bought in bulk / wholesale volume. Contact us for a custom price quote. Official-size volleyball net. 4"-square mesh. Black polyethylene. Features a rope cable and 2" vinyl headband. Recreation and educational settings where moderate to heavy play is expected. SIZE: 32' x 3'. 100% satisfaction is guaranteed. Hurry up, and get one of the limited badminton net set to have fun now. 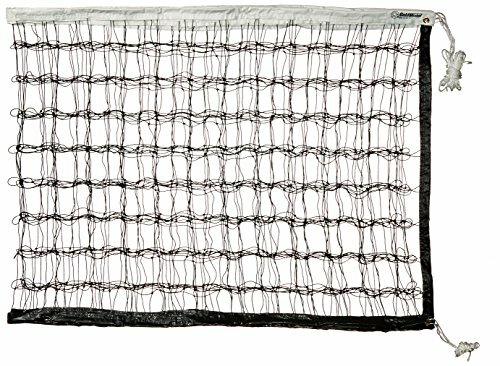 16.7 foot (5.1 meter) Tennis Net - Super Light (8.3 lbs) for Extreme Portability. The Net can be adjusted to four heights. 61(155cm) / 45(115cm) / 42(107cm) / 37(94cm), both for adults and kids. Super fast to set up and to fold. No tools needed. Designed for children with adjustable Net Height which adapts to younger or older children. Perfect size for children learning to play tennis. It can be raised for badminton or volleyball. Easy to assemble and take around. For aquatic sports fun, Dunnrite brings volleyball to your swimming pool. The Dunnrite Heavy Duty Swimming Pool Volleyball Net is a durable 24ft net that can be used with the all Dunnrite swimming pool volleyball sets. This modifiable net makes for hours of swimming pool entertainment.